MIT WPU 2019 Application form is available for all the Undergraduate, Postgraduate and Diploma programme offered at the MIT-World Peace University also known as MIT Pune. The application form for MIT WPU 2019 is to be filled in online mode only by candidates from the website mitwpu.edu.in. Candidates who are to take MHT CET 2019 can apply for direct admission to MIT WPU 2019 admission by paying an application fee of Rs. 1,500/- along with MIT WPU 2019 Application form. The candidate who is eligible for admission to MIT-World Peace University can apply till May 2019. Go through the complete article to below to know how to apply for MIT WPU 2019. 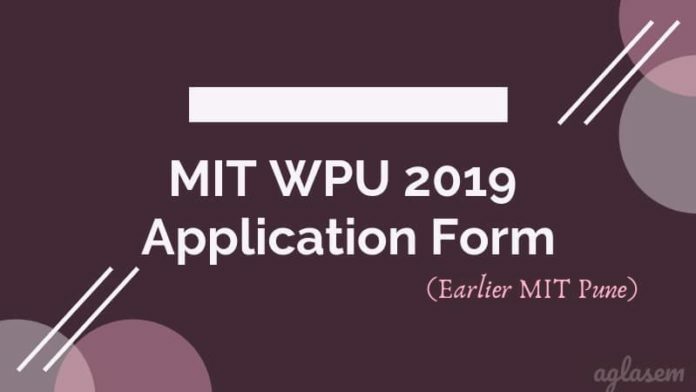 Latest: Application forms for MIT WPU 2019 is available, Apply Now. Candidates must start to apply for admission to MIT WPU 2019 as it is one of the most renowned universities of Maharashtra. Candidates who are not a resident of Maharashtra can also apply for admission to the courses available. Check the dates below to apply for MIT WPU. The application forms for almost all the courses at MIcaT WPU is now available for candidates who wish to be a part of the university. The direct link that will lead you to curses and application form of ch course is available above, follow the steps below to apply successfully. In the application form fill: Basic details, Personal details, Address detail, Document details. Documents details: As per course was chosen by as candidates the documents have to be uploaded by logging in. Now, after the submission of application form with successful payments of application fee candidates will be provided with an Id and Password that can be used for login. Candidates can log in to Modify or Update the application form. Candidates will be able to modify these details only till the last date submission of application form. Candidate must have passed class HSC with a minimum of 50% marks in aggregate or equivalent (at least 45% in case of candidates of Backward class categories,). For some courses appearing in MHT-CET is mandatory. Q.1 I am not from Maharashtra, Can I apply for MIT WPU 2019? Ans: Yes, candidates from other states can also apply for MIT WPU 2019. Q.2 Are the programmes at MIT WPU recognized by University/UGC/AICTE? Ans: Yes, the programmes offered at MIT WPU are affiliated and approved by the government of Maharashtra and recognized by UGC. Q.3 Is it mandatory to appear for MHT CET? 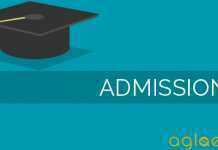 Q.4 What is the Admission criteria? Ans: all the candidates will have to submit their academic credentials and entrance test scores, based n these a merit list will be prepared for admission. 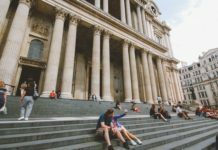 Q.5 Is it possible to get a receipt of the application fee? MIT World Peace University is a state private university under the government of Maharastra is majorly famous for Engineering courses. Apart from engineering MIT WPU offers admission in 9 other departments such as School of Liberal Arts, Commerce & Science, School of Design, School of Pharmacy and more. Candidates can also apply for all the courses provided under these departments as per eligibility required by the university.